Black diamonds seem to invoke a love or hate response from people. Either you wonder why anyone would want a diamond which is opaque and has very little sparkle and shine, or you appreciate the sophisticated elegance of black and love the idea of a black diamond. Either way, you probably want to learn more about black diamonds—especially if you are thinking about buying one for yourself or someone else. Here are answers to some of the most frequently asked questions about black diamonds! 1. Are black diamonds natural? The answer to this question is not a simple “yes” or “no.” Some black diamonds are natural, others are not, and we’re going to tell you everything you need to know about both. Natural fancy black diamonds are natural, and are mined from the ground already exhibiting the same color that you see when you buy them. 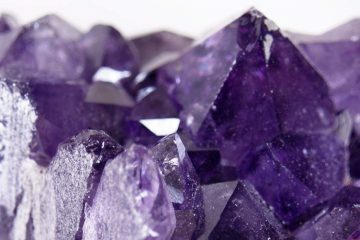 Their structure differs from ordinary diamonds, but they are still essentially the same type of gemstone. The other type of black diamond is heat treated to achieve the black color. Often these diamonds are actually a very dark green. They are often known as “enhanced” diamonds, and begin their lives as low-quality colored or colorless diamonds. When they are subjected to temperatures around 1000 degrees centigrade, graphite residue appears inside them. This is usually done through irradiation (don’t worry, irradiated gemstones are safe to wear). These artificially enhanced black diamonds are a lot less expensive than the natural black diamonds. 2. Are all black diamonds black? No, some black diamonds which are heat treated, as mentioned above, are not a true black. When it comes to natural fancy black diamonds mined from the ground, both black and grey specimens are found regularly, and are often used together to create jewelry. Both colors are popular. 3. Are black diamonds really diamonds? This is a question a lot of people seem to argue over. What is the chemical difference between black and colorless diamonds? While I have heard some people assert that black diamonds are not “really” diamonds, black and colorless diamonds are actually almost identical on a chemical level. 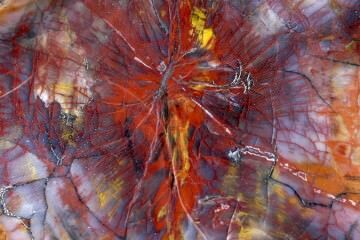 The difference is simply inclusions of graphite in the crystalline structure. Colorless diamonds do not have these inclusions; black or grey diamonds do. All fancy colored diamonds have some kind of inclusion or impurity which lends them their color! Asserting that inclusions somehow cost a diamond its diamond status means that you would not consider any colored diamond real. This would be quite absurd, since true colorless diamonds are quite rare! Most “colorless” diamonds still have some hint of yellow or brown, stemming from impurities. 4. What is a carbonado? This is a word you probably have heard bandied around in discussions about black diamonds. You may have heard someone say, “black diamonds are not true diamonds, but carbonados.” What are they talking about? A “carbonado” is simply the name for a black diamond which does not exhibit gem quality. Both black and colorless diamonds are formed the same way (theoretically, more on this in a bit). Carbon beneath the surface of the earth is subjected to high amounts of pressure, resulting in a crystal lattice with a repeating pattern. A rose by any other name is still a rose—and that is true for a diamond too. 5. What do black diamonds cost? The price you will pay for a black diamond depends on a number of factors, the most important being whether it is a natural fancy black diamond or an enhanced diamond made black through heat treatments. For the heat-treated variety, you can expect to pay around $300 per carat. For a fancy black diamond, you can expect to pay closer to $3,000 per carat, or even higher! Black diamonds are found in only a couple of locations (Brazil and Central Africa), so this should come as no surprise. 6. What is the Black Orlov? The Black Orlov is a famous black diamond, also called the Eye of Brahma. It originally weighed 195 carats, but presently weighs 67.50 carats. While its history is nebulous, it is believed that it was originally one of the eyes of a statue of Brahma in Pondicherry. A monk supposedly stole it, and as the legend goes, this bestowed a curse upon the diamond. According to the story, death has followed the Black Orlov. J. W. Paris took the diamond to the US, and shortly thereafter threw himself off a New York City skyscraper. Two Russian princesses who leapt to their deaths in the 1940s also owned the diamond at one point: Leonila Galitsine-Bariatinsky and Nadia Vygin-Orlov. Since then, the diamond has changed hands a few more times, and has been displayed at the American Museum of Natural History is New York City and the Natural History Museum in London as well. The Black Orlov is the most famous black diamond, but it is hardly the only one. Others include the Table of Islam, the Gruosi Diamond, the Korloff Noir, the Spirit of de Grisogono, and the Black Star of Africa. 7. Are black diamonds from space? While this question may sound odd, scientists theorize that black diamonds may be from space. The fact that black diamonds are only found in a couple of locations and seem to be exclusive to those spots has long puzzled geologists. While diamonds may have formed under the earth (as previously discussed), scientists studying the isotopes of black diamonds have questioned this. To keep the explanation as simple as possible, black diamonds feature carbon isotopes associated with the crust of the earth, not the earth’s depths where other diamonds typically form. It is possible that these diamonds actually formed during meteor impacts. 8. What do black diamonds look like? 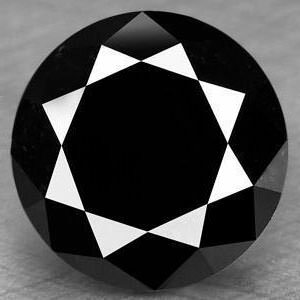 Are black diamonds opaque or translucent? Those that are formed naturally can be opaque or translucent, depending on how much graphite is present. The ones that have been heat enhanced have some degree of translucency. Usually you cannot see this clearly or at all, but there is no such thing as an enhanced black diamond which is opaque. Because these diamonds have no actual clarity, they lack the sparkle of other diamonds. 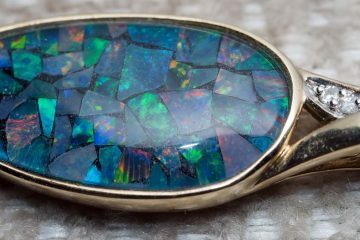 They do however have a beautiful shine to them, like other similar opaque gemstones (onyx being a great example). Black diamonds are difficult to cut because their crystal structure differs somewhat from other diamonds. Whereas a colorless diamond is one big crystal, a black diamond is actually made up of millions of crystals. For this reason, they are often more fragile and harder to cut. Still, they are cut successfully into many different shapes and sizes, and are available as engagement rings, wedding bands, cufflinks, bracelets, necklaces, earrings, and more. Because of the fragility of black diamonds, it is essential that you take extra care with yours. Never wear a black diamond if you are going to be doing manual labor or any other intensive physical activity. Avoid banging or dropping your black diamonds, and be very careful when cleaning them. Getting professional assistance with cleaning is usually a good idea. 9. Can I find natural black diamonds for sale? In theory, yes, you can, but there is a reason that they are significantly more expensive than the irradiated gems. They are quite rare, rarer than colorless diamonds. Almost all of the black diamonds that you see for sale online and in local retail outlets are the irradiated variety. If you are shopping for a black diamond, it is important to know the difference, so that you don’t end up paying $3,000 per carat for a diamond that should cost $300 per carat! 10. Are black diamonds beautiful? This may seem like an odd question because it’s so subjective, but it’s worth talking about, because there are so many people who argue about it! Black diamonds lack the sparkle and shine of traditional colorless diamonds or fancy diamonds. Because they have no transparency, many people deride them as a marketing trend. They consider their value a result of the fact that they have been aggressively pushed by retailers and celebrities in recent years, and not a reflection of real beauty. They are often promoted as a “masculine” alternative to clear diamonds for men’s jewelry. This entire issue is quite silly though when you consider that the popularity of colorless diamonds as well as their high monetary value is in large part thanks to aggressive marketing by De Beers in the early 20th century. That campaign was what convinced the world to fall in love with diamonds, colorless ones in particular. 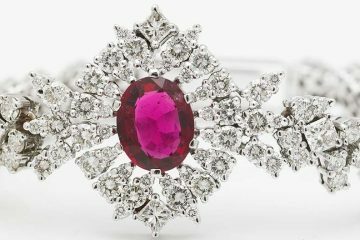 Before that time, engagement rings included many different gemstones, and many gems were prized as much or more than diamonds. So is a black diamond beautiful? Instead of worrying about marketing campaigns, what is the “in” fashion according to celebrities, and what somebody else thinks, make up your own mind. Men and women around the world love wearing black diamonds. If you are drawn to the elegant, reserved sophistication of these beautiful gemstones, there is a perfect black diamond out there for you! Little errors here. Carbonado is not fragile ! it’s terribly more presure resistant and tenacious than gem diamond because interactions forces between grains are really strong and clivage fracture cannot cross through the stone (we can compare this with jadéite structure and other polycrystalline minerals). In industry applications (drilling, etc…) it’s recognized than carbonado is far more hard and tenacious than standard diamond. Scientists also use synthetic carbonado (called supradiamond) to make “anvils” and create extreme presure conditions. Natural carbonado is difficult to cut because it’s not homogeneous material, highly porous: not easy to have good polish and clean edges. 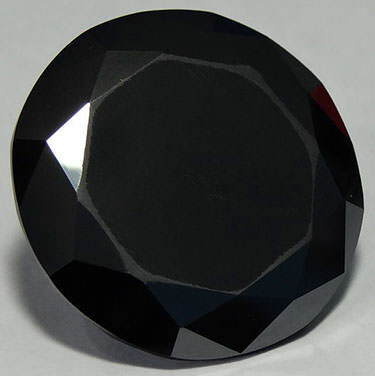 The Black Orlov is a monocrystaline black diamond, naturaly opaque. Many of black diamonds used in jewelry are monocrystaline, but the two largest cut black diamonds are carbonado: the Spirit of de Grisogno is one of them. Studies suggest than Carbonado is formed in outer space during supernovae (final star explosion): interstellar carbon is naturaly condensed by shockwaves and form low presure diamond which agglomerate. 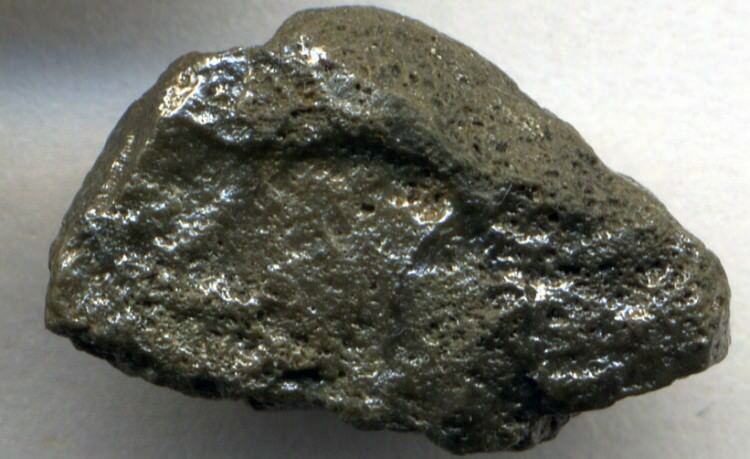 And arrived to earth as meteorites: which explain the unique presence of hydrogen, the datation: oldest than kimberlite diamonds and the only one place you can find it (Bresil and Central Africa but before split of continent). Can black diamonds be fluorescent ? That is a good question! In theory black diamonds can be fluorescent as they can contain fluorescent trace minerals. However as black diamonds are opaque any fluorescence will likely be invisible to the naked eye.